This article is sponsored by Hanna Andersson. All opinions and reviews are my own. 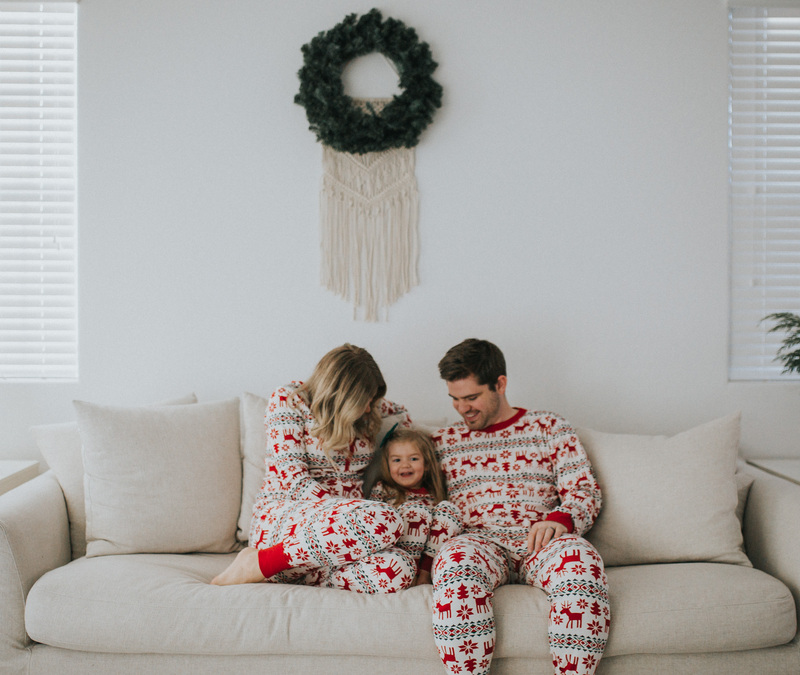 As a new, young family, we are always looking for ways to make the holiday special and unique to us. Finding new traditions is something we are constantly working at. After all, those traditions are what make such special holiday memories for children, right? Here are four family traditions to try this year that we do now! Advent calendars are great for families with a religious background but TOTALLY work for those who don’t. We celebrate Advent by doing a fun holiday activity each day until Christmas. Some of these activities include serving others by volunteering at a soup kitchen, or adopting a family for the holidays. Other things could be holiday activities, such as zoo lights, or building a gingerbread house. For younger kids, a paper chain countdown is great for giving them a visual on how many more days until Santa comes, or until Jesus was born (if you’re teaching them about Christmas in that way). Each evening, we read a holiday story and take off a link. Grace loves this ritual so much! As a former Kindergarten teacher, I love doing holiday crafts with my children! 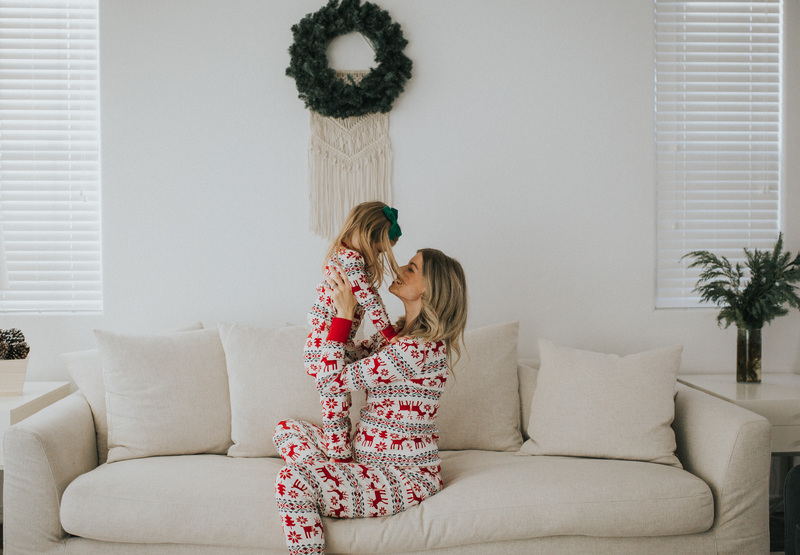 It can be something as simple as coloring their own Christmas tree, writing and decorating a letter to Santa, or making cotton ball snowmen pictures. We love going to our neighborhood light show each year. They have a Mrs. Clause, a holiday train, and holiday treats for the children that live near us! It’s quite an ordeal, but we also go visit other places in our town with holiday lights. It’s fun for children to recognize this place each year. When I lived in Orange County as a child, we would visit the Balboa Island Christmas light contest each year and I loved walking the canals with coffee or hot chocolate in hand. It’s a memory I’ll always hold dear, and can’t wait to do with my children someday! Every Christmas Eve, we put on our matching holiday PJ’s (ours are from Hanna Andersson this year) and bake our delicious vegan sugar cookies to decorate for Santa. Gracie’s been doing it every year since she was born, and it’s such a fun tradition on Christmas Eve! You can imagine why it’s one of her favorites 😉 Plus, she gets super giddy when she gets to match with not only mommy, but daddy too! 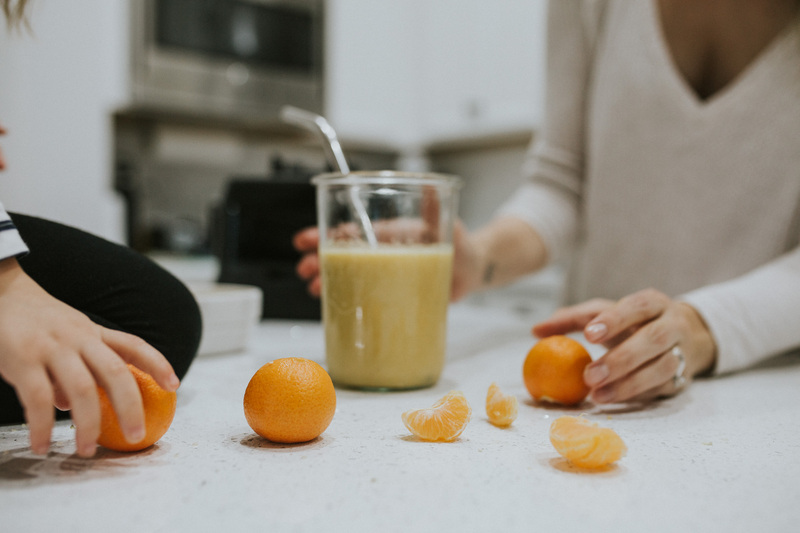 I hope this article was helpful to you! If it was, please consider pinning the image below so other families can find it and read it too! Wishing you and your family a beautiful holiday season! snag some #HannaJams for your family at this link here! Wishing you and your family a very Merry Christmas and many blessings in the New Year! 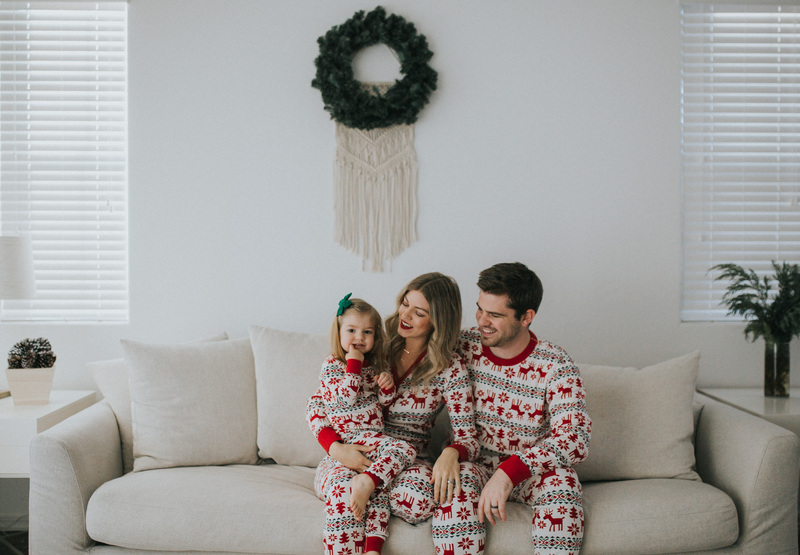 How adorable do all of you look in your Christmas PJs!! Merry Christmas! These pajamas are so adorable I love them!! You guys are the cutest, Larissa! And I love the pajamas. Happy holidays! 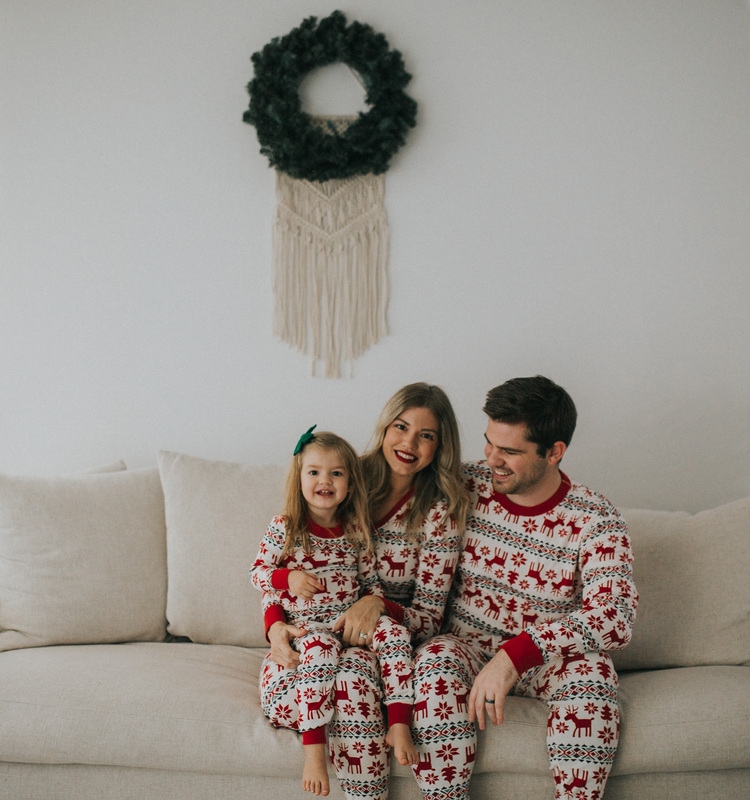 Love how cute your little fam looks in the matching PJs! Oh my! Cutest PJ’s ever! Need! These PJS are so cute!! I love these traditions! So much fun! The matching PJ sets are so cute. Hope you had a very wonderful Christmas and a fabulous New Year!